Your dog’s or cat’s heart is not as different from a human heart as you might assume. These four-chambered muscles perform the same vital function as the human heart — that of pumping a sufficient volume of blood regularly throughout the body. Unfortunately, this means that our animals’ hearts are also subject to some of the same diseases and disorders as our own hearts. In fact, up to 60 percent of senior dogs acquire some form of heart disease. This is why our veterinary team at Beattie Animal Hospital in Brantford offers a full range of pet cardiology services. While a few pet cardiology issues are present from birth, most of them develop during a pet’s adult years, and the incidence increases steadily with age. In the canine population, the two leading causes are atrioventricular valvular insufficiency, or AVVI, and dilated cardiomyopathy, or DCM. AVVI may also be referred to as mitral valve disease, a situation in which a heart valve “leaks” a backwash of blood back into the circulatory system instead of sealing itself completely. A veterinarian can diagnose this condition by listening through a stethoscope for a telltale heart murmur. Smaller breeds such as schnauzers, poodles and chihuahuas are particularly vulnerable to this disease. By contrast, DCM tends to afflict larger breeds. This enlargement of the heart muscle prevents it from pumping efficiently. Among cats, this is the most common form of heart disease. Pets with cardiomyopathy may not develop any symptoms until the condition has progressed to its end stage, heart failure. Some animals may suffer partial paralysis from blood clots caused by the condition, while others may display breathing difficulty, poor tolerance of stressful activities or poor appetite. Parasites such as heartworms can also cause heart disease. Heartworms are long, thin worms that migrate from a mosquito bite through the blood stream to the heart and lungs, where they embed themselves and grow for years until they cause heart and lung failure. Preventative medications prescribed by a veterinarian can protect your pet from this deadly, hard-to-treat parasite. The good news is that veterinary detection, diagnosis and treatment of heart disease can help your pet continue to enjoy a good quality of life for many years to come. 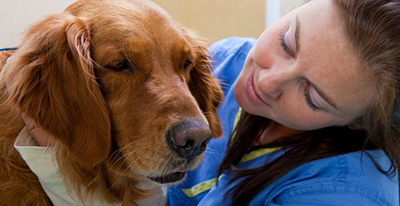 In addition to listening to the heart and lungs, a veterinarian at our animal hospital can also make use of ultrasound, radiography or EKG technologies. We also perform laboratory tests to check for any anomalies that may present themselves in a blood sample. Once our veterinary team has isolated the source of your pet’s heart trouble, we can prescribe the proper course of treatment. Treatment may include a combination of medication, a special diet, and lifestyle changes to optimize your pet’s heart function and promote wellness. If you have any concerns about your pet’s heart, please contact Beattie Animal Hospital to schedule a pet cardiology consultation with a veterinarian on our team.